Red-eyed treefrog eggs infested with fungus. 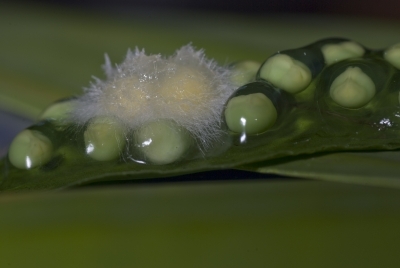 Red-eyed leaf-frog (Agalychnis callidryas) eggs infested with pathogenic fungus. Swabbed for chytrid. Found on a rock in the forest.